As a continuation of last week’s blog on dams monitoring and emergencies, the County’s Office of Emergency Management and Homeland Security (OEMHS) Emergency Management Specialist, Daniel Berkman is guest blogging to tell us more about the OEMHS’s role in Dam Emergency Action Plans and Severe Weather situations. First of all, thank you for the opportunity to contribute to My Green Montgomery. The relationship between the Department of Environmental Protection (DEP) and OEMHS is very strong and it is a great example of how OEMHS works with other County agencies on emergency management planning, response, and recovery. Before I get too far in the (potentially flooded) weeds about our dam safety program, I will give a quick overview about our office. OEMHS Staff with the County Executive. 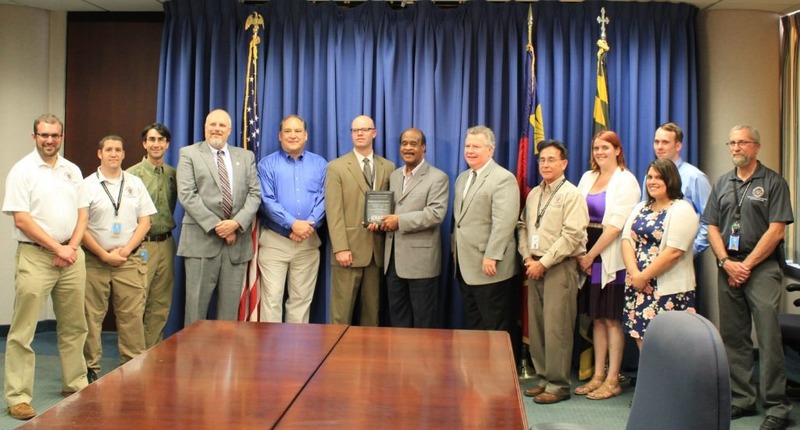 OEMHS recently earned accreditation from the Emergency Management Accreditation Program (EMAP). We became the first county in Maryland accredited and the 12th overall in the Country. What does the Office of Emergency Management and Homeland Security do? Our mission is to effectively manage and coordinate the County’s unified planning, response, mitigation, and recovery from disasters and events should they occur. reviewing the lessons learned from the exercises and real world activations so we can continue to improve for potential events. The disaster management cycle is continuous, but the more we can mitigate and prepare for future events, the better we can be in the response and recovery stages. When would OEMHS become involved with a dam event? As mentioned in the last blog, the purpose of a dam emergency action plan (EAP) is to reduce the risk of human life loss and injury and minimize property damage during an unusual or emergency event. When DEP is monitoring an event (heavy rain storm, hurricane, etc.) they will contact OEMHS if the water gets to LEVEL 2 or LEVEL 3. OEMHS then serves as the primary contact for coordinating all emergency actions. OEMHS prepares for possible evacuations that may be needed if a Level 3 situation occurs. OEMHS initiates warnings and orders evacuation of people at risk downstream of the dam. Notifies local emergency management services (police, fire and rescue, department of transportation) to carry out the evacuation of people and close roads within the evacuation area (Evacuation Maps are a part of all dam EAPs). Partial Activation: Provides for select activation of ESF primary agencies and key support agencies that may be or will be engaged in the emergency situation. Full Activation: Includes all primary and support agencies identified within the Emergency Operations Plan (EOP) which could operate 24 hours a day. 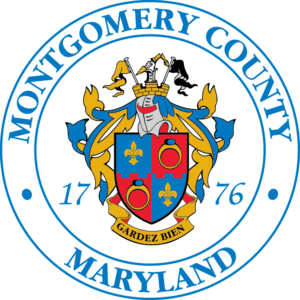 If the situation arose where residents would need to be evacuated, temporary shelters would be set up at nearby government owned buildings by the American Red Cross and the Montgomery County Department of Health and Human Services. All Dam EAPs list which houses are at risk to a potential flood, so given enough warning time, these residents would be able to find another temporary living situation on their own as well. OEMHS is responsible for deciding when the emergency is over. As with our trainings and exercises, we would conduct an After Action Report (AAR) to document the response and any lessons learned. 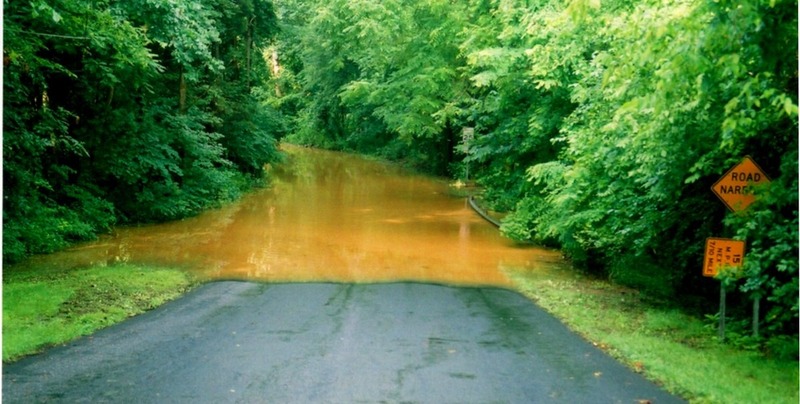 The most recent dam event which merited an AAR in Montgomery County occurred in 2006. Any interesting lesson learned was the high media interest during and after the event. There were issues with media trucks parking and their ability to run cable for a live broadcast. Sign up for alert Montgomery: Receive notifications of severe weather watches, major traffic disruptions, significant power outages, and floods. Make a Plan: Identify at least 2 people to be in your support network and include what to do if you need to evacuate or shelter in place. Find tips to write out your plan in our handy guide (PDF). Make a Kit: Assemble “Shelter-in-place” and “to-go” kits that are easily accessible. Lists for what to include in these kits can be found in the link above. Visit the OEMHS website to learn more about what you can do more specifically prior to, during and after a severe storm.